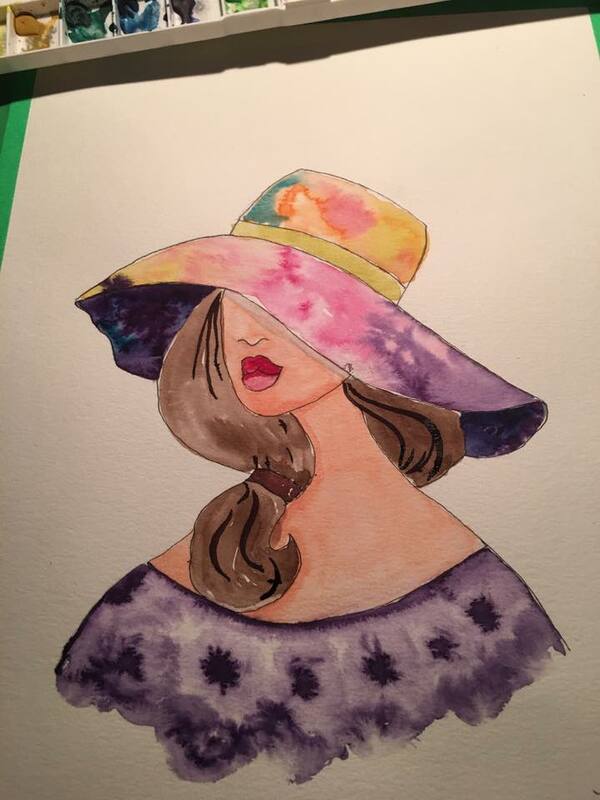 Easy easy watercolor paintings for beginners step by step on paper a fashion girl with hat. I will share simple techniques focused for new painters so you can paint this at home. With help and guidance, anyone can paint. You can paint! This is a Great first watercolor painting. Here's my version! i loved this tutorial!! !